A core feature of every landscape design is a living space. Many homeowners engage in a landscape design process because they want to extend their living and entertaining space outdoors. There are many ways to incorporate living spaces into your design. Add a covered outdoor kitchen with heating and cooling to extend the use of your space through the seasons in Northeast Ohio. Design a custom fire pit with seating for your family to enjoy year-round. Build a new pool surround with spaces for dining and sunbathing. The options are endless. 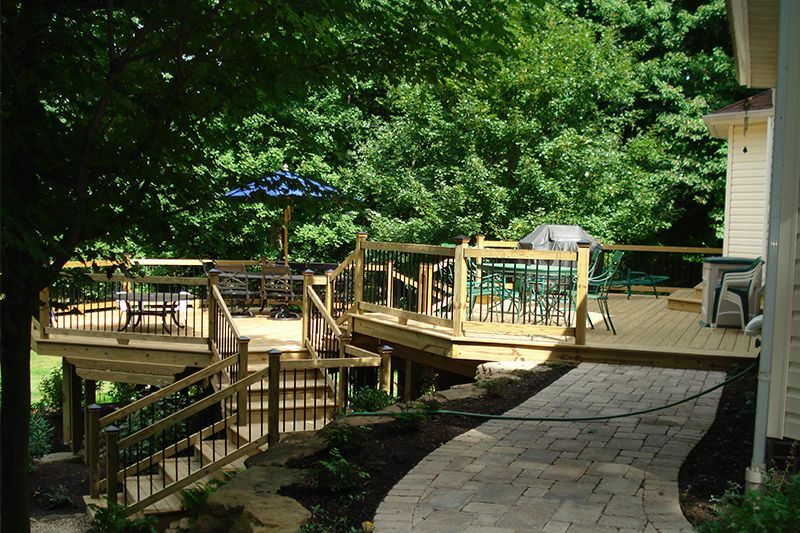 An outdoor kitchen allows you to enjoy cooking, dining, and entertaining outdoors throughout the seasons in Northeast Ohio. Select custom materials and commercial-grade equipment to complete your kitchen design and complement your existing home style. 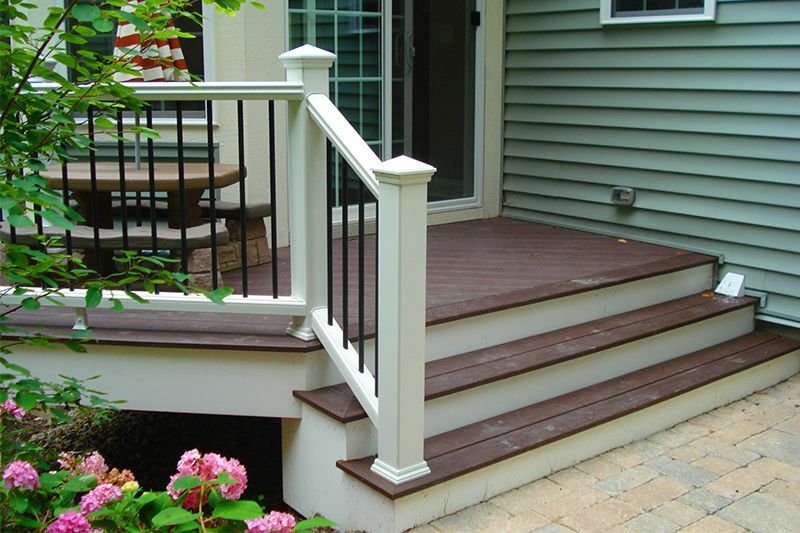 Replacing an outdated patio can have a transformative effect on your entire outdoor space. Whether you select gorgeous stone or classic brick, a new patio will provide essential space for entertaining at your home. A fire pit not only adds a cozy gathering space, but also serves as a focal point of your outdoor design. The options for designing a custom fire pit for your home are truly limitless when you work with Exscape Designs. 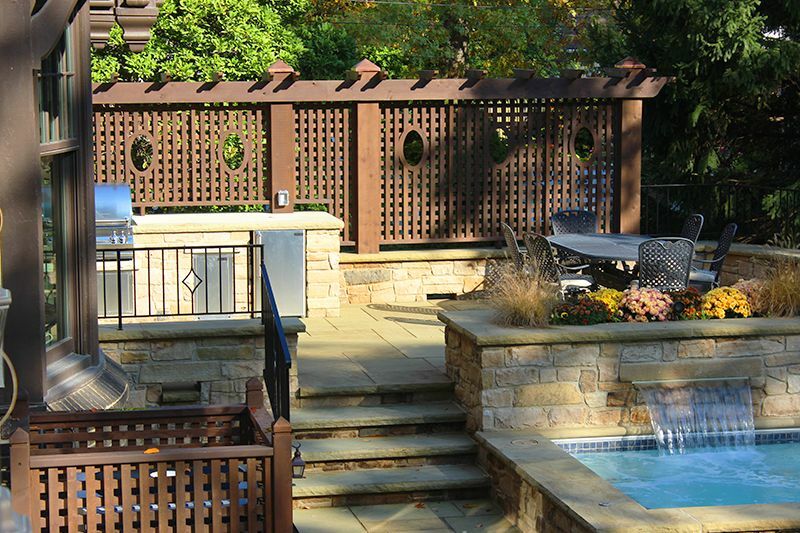 Bring the resort life to your Northeast Ohio home with a custom pool or spa installation. Exscape Designs will work with you from the initial design through the final installation. Once you design your dream pool, design a stunning and functional pool surround. Incorporate space for lounging and sunbathing, as well as beautiful potted plants and trees or other landscaping features. 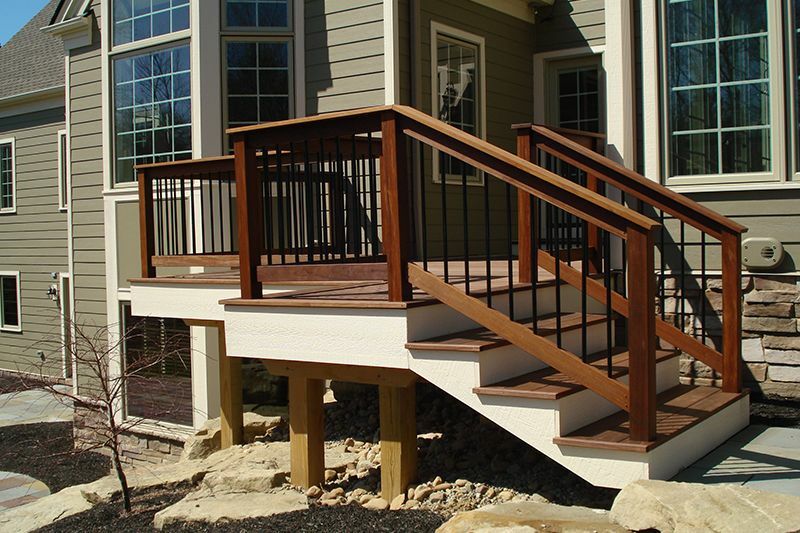 We believe a deck should provide both function and architectural interest. 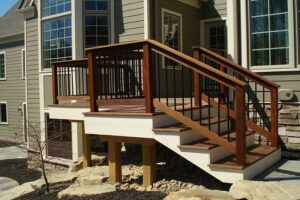 Our team utilizes the finest building materials to create a deck that is of superior quality construction and designed for longevity.